Ok, so it's been merely a week since I turned twenty and I'm sitting in bed with a mug of cocoa at ten o'clock. Is this a sudden burst of age-related sanity? Did some freakishly complex process trigger in my brain when the clock struck twelve a week ago? No, sadly not. 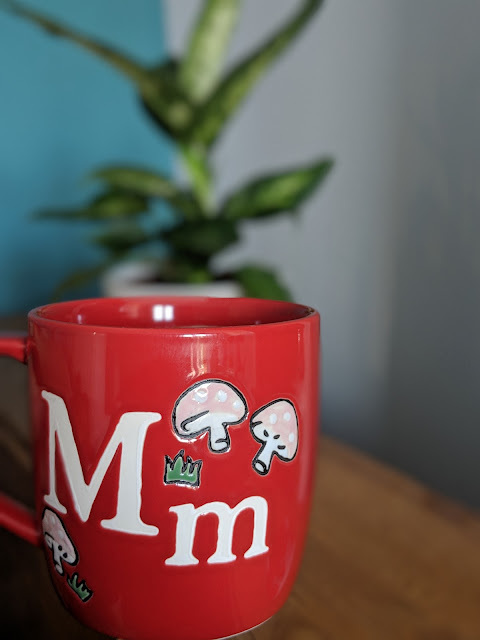 The early bedtime can be explained by my 'not-quite-bad-enough-for-a-day-off'' fluey symptoms, and the hot chocolate.... well I don't really need to justify a warm mug of sweet milky goodness now do I? But, perhaps most importantly of all, I'm beginning to realise that beating yourself up about it is not going to resolve the problem. If something is taking you that little bit longer than you first imagined, it's fine; you couldn't possibly have predicted it's time span anyway, and it's easy enough to just allow yourself an extension or postpone other things. And those 'postponed' others that end up being delayed? Again, fine. Just set yourself a new target starting point and make sure you stick to it. The main point is not to stress about it. And I hope to God that I will reread this in a couple of weeks, when revision and essays are getting too much, because i know that by then (as is always the case) my new mantra will be thrown out of the window and frustration will have gotten the better of me. We are all human after all, and it's natural to become irrational and anxious during stressful periods. What's important to remember though, is that you can remain perfectly sane throughout all the stress and the worry, by just putting things into perspective and getting a move on. Harsh words I know. But I think many of us are too scared to hear it sometimes; we don't want to 'get on with it' and certainly whenever I am told to do so, I respond with the good old "You have no idea what I'm going through!". Well, I hate to break it to you kids, but those who care enough to give us such advice, are usually doing so not only out of kindness, but also out of experience. I've just realised how preachy this all sounds, perhaps the age thing really has gone to my head. Honestly though, I think those oldest and wisest would say that life really is too short to focus so much worry and energy onto essay deadlines and looming exams. So yes, do push yourself to achieve that grade you so want, and do try your utmost to do the very best that you can. But remember that we all have limits, and actually, if we spent less time worrying about those all-important targets and more time focusing on meeting them, we might actually find that we can enjoy life a little more, and appreciate the little things that make it all worth it in the end. Thanks so much for your lovely comment on my blog, I love your blog too! The way you guys write is hilarious - would you like to exchange links darlings?